Kansas City duo, CES Cru, is set to drop their 2nd full-length Strange Music album, Codename: Ego Stripper, on August 5th! Ubiquitous and Godemis once again set out to lyrically destroy the opposition with a vengeance. With custom artwork created by renowned comic book artist, Rob Prior, CES Cru’s Codename: Ego Stripper promises to turn any and all expectations on their ear. 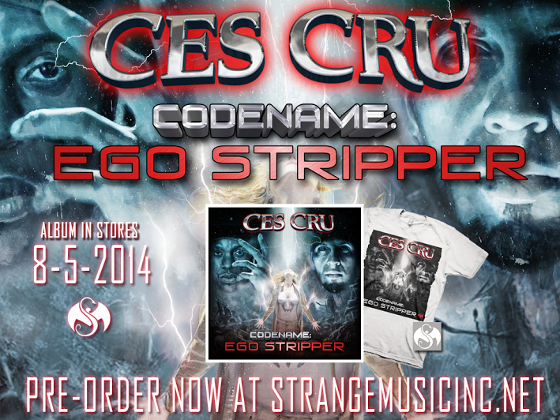 Here’s your chance to pre-order your copy of Codename: Ego Stripper – featuring Tech N9ne, Rittz, ¡MAYDAY! and others, as well as tracks like “Sound Bite” and “Double O.T.”. Pre-order your copy now at strangemusicinc.net – you’ll get a signed copy of Codename: Ego Stripper, a limited edition Codename: Ego Stripper t-shirt (XL only), a Strange Music sticker and a bonus mp3 download track (“Galaxy”). 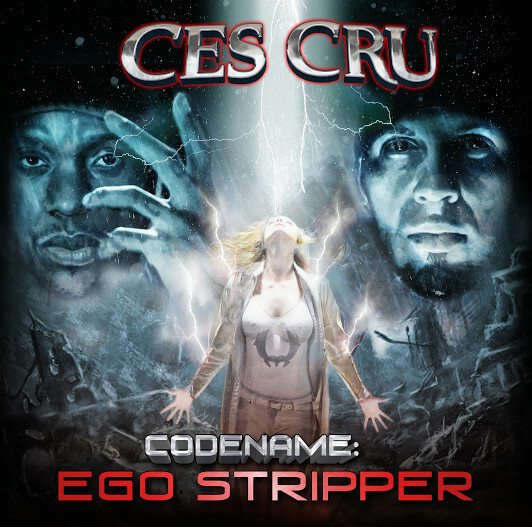 Don’t miss your chance – head over to strangemusicinc.net and pre-order your copy of CES Cru’s newest album, Codename: Ego Stripper!